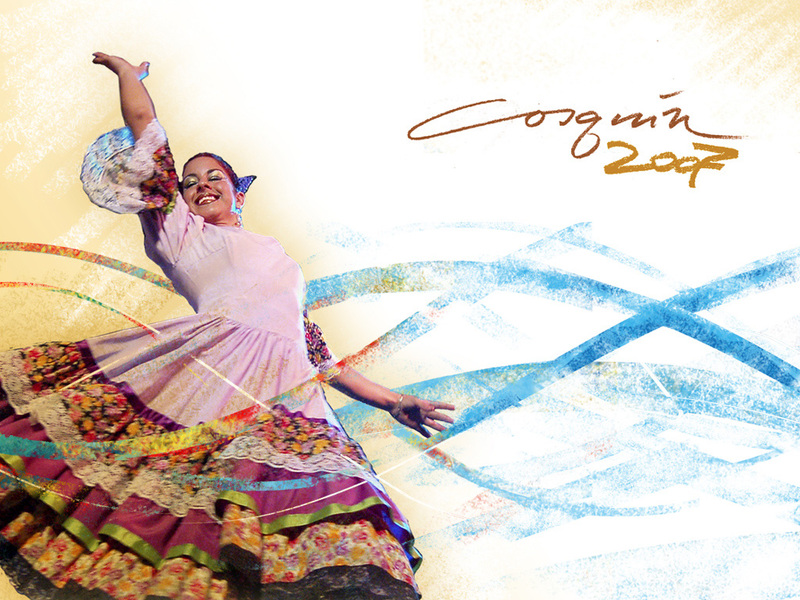 The Cosquín Festival is the most important Folk music festival of Argentina. On this page you will be able to find photographs, the history of the festival, why it is such a unique event for you to attend on your visit to Argentina, important links such as to the official organizers of the festival, where to stay, where to eat, and furthermore a portfolio of CDs, just released, by many of the participants of the Festival. Enjoy! Each year, for the Cosquín Festival, a special "Afiche" (Poster) is made by the "Comisión Municipal de Folklore" (Municipal Commission of Folklore), organizers of the Cosquín Festival. Explore here, with Grinfeld's implemented Art Viewing System, each one of the most recent years' posters of the Cosquín Festival. Each one is a unique piece of art in itself. Enjoy. 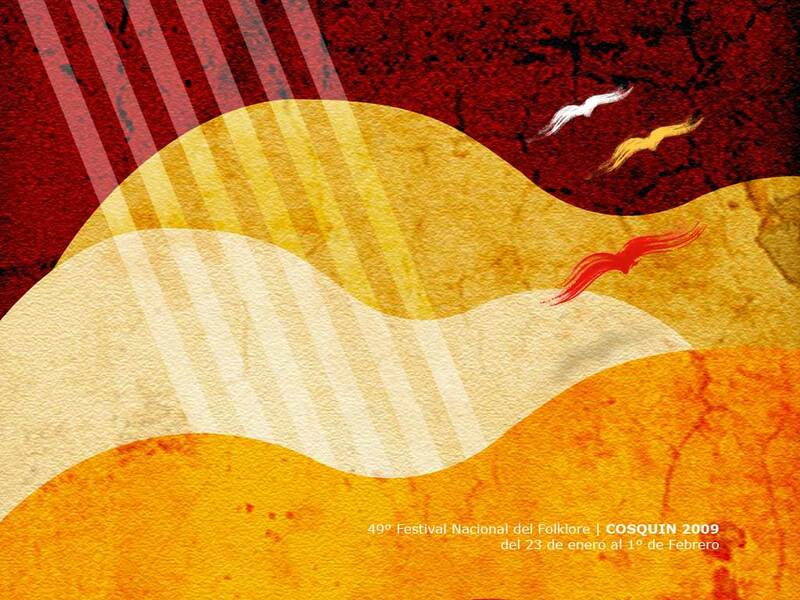 Each year, for the Cosquín Festival, a special "Fondo de Pantalla" (Wallpaper) is made by the "Comisión Municipal de Folklore" (Municipal Commission of Folklore), organizers of the Cosquín Festival. Download here you favorite ones. Each one is a unique piece of art in itself. Click on the thumbnails below to select which wallpaper to download. Enjoy. 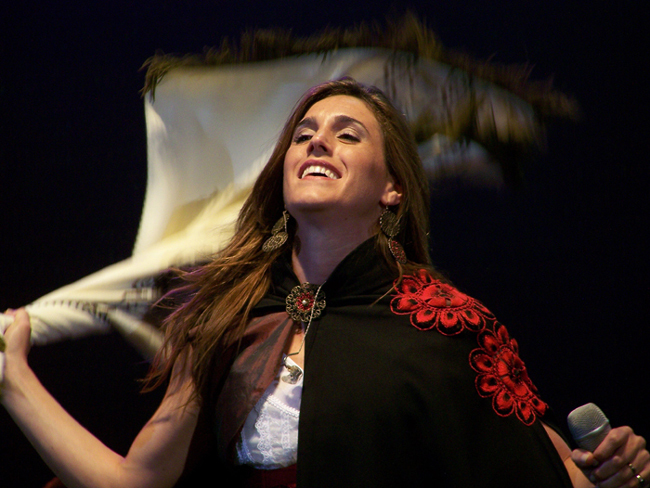 The Cosquín Folk Festival (not to be confused with the Cosquín Rock festival) is the most important folk music festival of Argentina, and one of the most important folk festivals in Latin America. It lasts 9 days during the second half of January in the city of Cosquín, a scenic, Punilla Valley location in the province of Córdoba. The first Festival was held in Cosquín between January 21 and 29, 1961. The initiative came from a group of city residents led by Dr. Reinaldo Wisner and Dr. Alejandro Guinder, who decided to organize a folklore music and culture show during the summer holidays, in order to attract tourism. The presence of renowned artists from around the country exceeded all expectations, and the festival became the largest annual folk event in the country, as well as one of the most important in Latin America. The Cosquín Festival unfolded into a boom of folklore music in the 1960s and '70s, becoming the nation's best-known venue for the characteristic music of the Argentine hinterland (ie, the country with the exception of the city of Buenos Aires, whose music has traditionally been the tango). 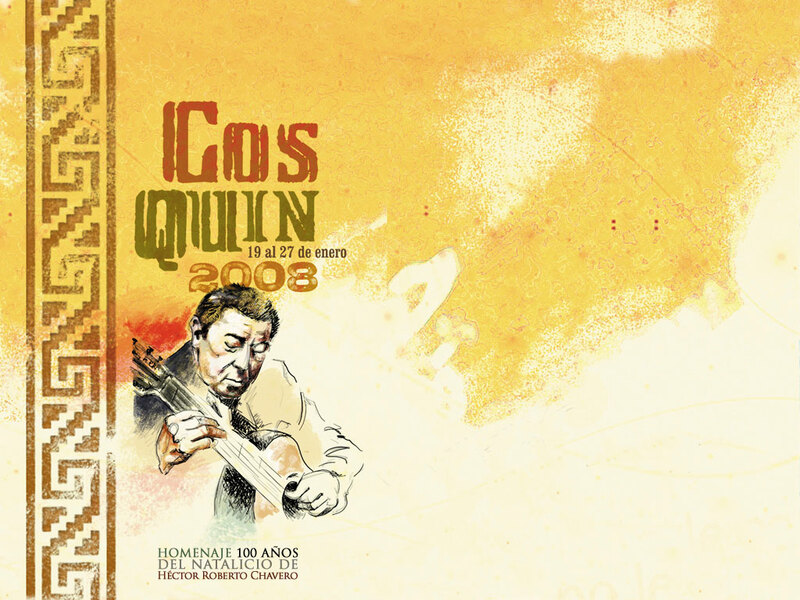 Cosquín prompted a renewal of the powerful local folk music among younger listeners in particular, and has persisted in the Argentine music scene ever since. 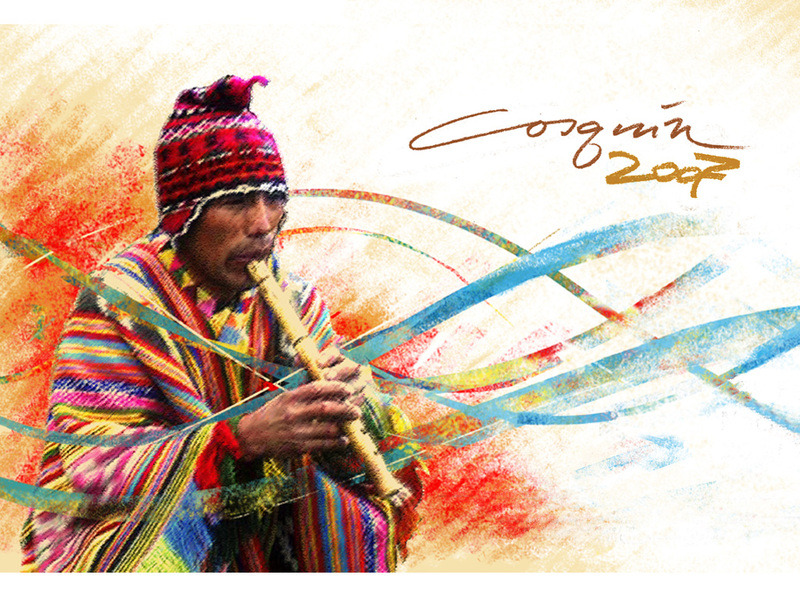 Its organizers then had the good sense to organize the Cosquín Festival not only as a musical competition, but as an integral folk experience, with the well known "peñas" in which musicians of all backgrounds freely sing all night, apart from the official event. Ever since the second edition of the festival in 1962, the important Radio Belgrano of Buenos Aires and a nationwide network of stations began broadcasting the Nine Moons of Cosquín live, reaching millions of listeners all over the country, familiarizing them with the festival. 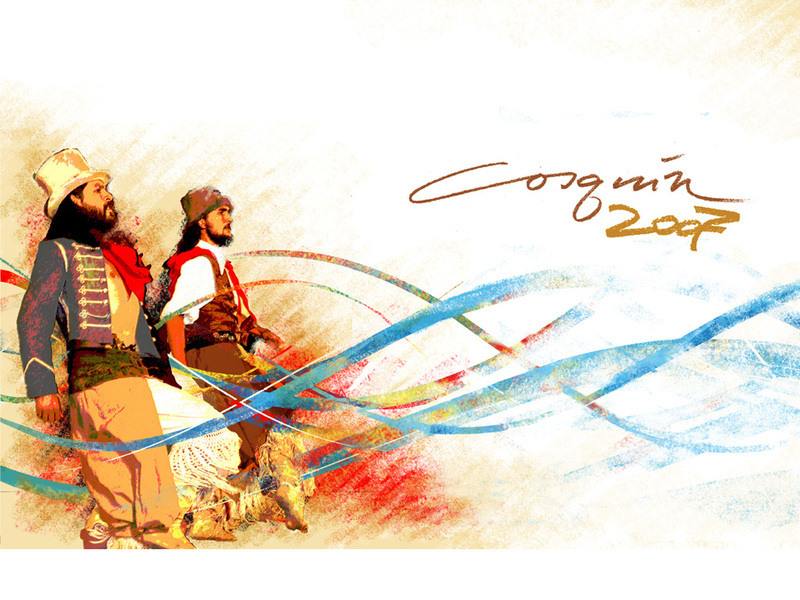 After the success of the third edition, President José María Guido, by Decree 1547/63, designated the last week of January as National Folklore Week, and established its headquarters at Cosquín. Since then the festival has grown in national and international repercussions. The Organization of American States (OAS) decided to become a sponsor in recognition of the festival's importance to the culture of the Americas. The Museum of Mankind in Paris has filmed and recorded the festival's multifaceted popular expressions. 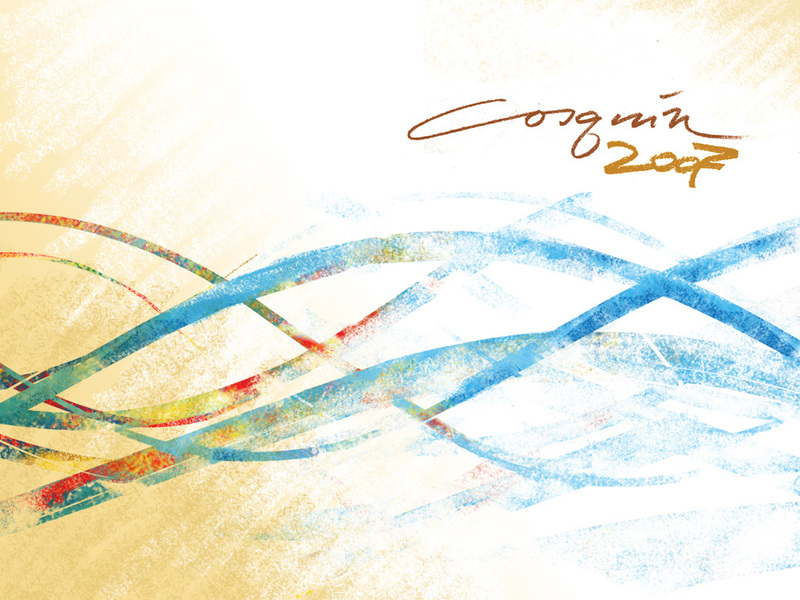 In Germany, the city of Stuttgart has given the name "Cosquín" to one of its stages, and in 1981, the Japanese city of Kawamata began organizing a festival called "Cosquín in Japan", held annually in October. Julio Mahárbiz, the festival's master of ceremonies since 1963, became known for his call at each of the opening nights of the festival's seasons: aquiii Cosquíííínnnn ("Here, Cosquín! "), the inspiration for which Mahárbiz attributed to a style used by a popular football sportscaster at the time, Fioravanti. In 1967, renowned guitarist Atahualpa Yupanqui won the first prize at the festival and in 1972, a newly completed stage was named in his honor. A feature documentary on the festival, Mire que lindo es mi país (See How Beautiful My Country Is) was produced in 1981. Since 1984, with the 24th Cosquín Festival, the public television station Argentina Televisora Color (ATC, now Channel 7), began broadcasting the first two hours of each night live throughout the country, helping to popularize the event among television viewers. 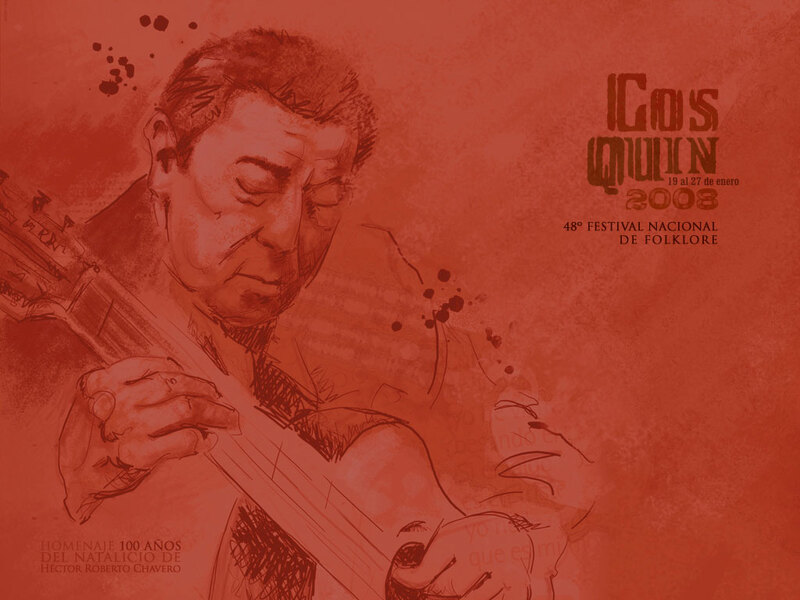 Throughout its history Cosquín has been the definitive place to leverage the success of the most important folk artists of Argentina, including Mercedes Sosa, León Gieco, Víctor Heredia, Eduardo Falú, Los Chalchaleros, Los Fronterizos, Los Cantores del Alba, Los Cuatro de Córdoba, Los Tucu Tucu, Los de Salta, Julia Elena Dávalos, Ramona Galarza, María Ofelia, Soledad Pastorutti, Argentino Luna, Gustavo Leguizamón, Antonio Tormo, and, among many others, comic narrator Luis Landriscina and Los Indios Tacunau, a duo who became known for their rousing rendition of the patriotic San Lorenzo march. In 2001, a new arena was completed, with a 50 meter-long stage with an 830 m² surface area. The stage can rotate 180 degrees to expedite the schedule of performances. With this infrastructure, Cosquín currently has one of the largest stages in Latin America. In total, the amphitheater has a capacity of nearly 10,000 spectators, of whom 7800 sit in the seats of the central field, and 2,000 are located on both side galleries. The Atahualpa Yupanqui Stage is located in Prospero Molina Square. This site was named after one of the founders of Cosquín, who lived between 1827 and 1889. The Nine Moons of Cosquín are organized as an experience that has its center around the festival, but goes beyond it to become a truly integral folk experience. 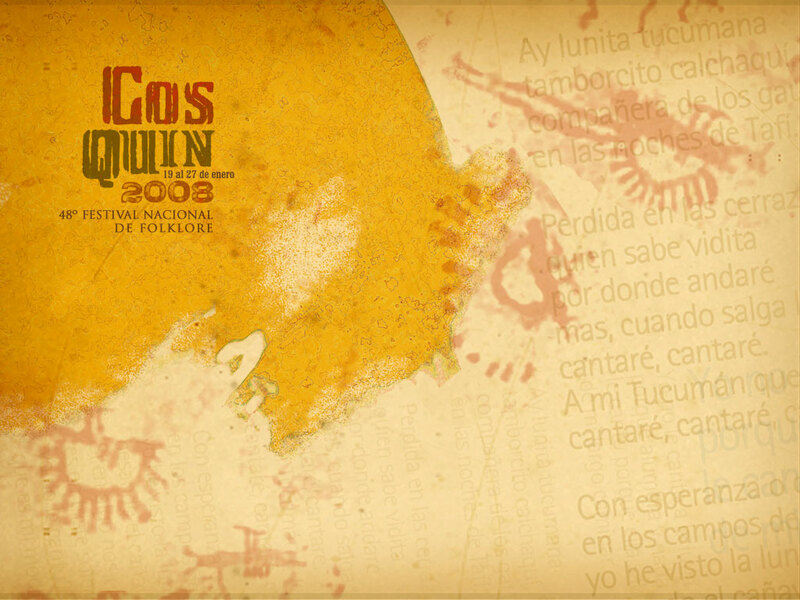 Cosquín Festival of Song Performances by professional folklorists. Performances of folk dance ballets. The famous "boulders": tents where artists interact with the public, as well as tents and bonfires by the river, where revelers sing and dance nonstop. The Congress of Man and Our Culture in Argentina: There are courses and workshops for children and adults. Artisans, artists, scholars, and scientists hold exhibitions and teach. It offers courses in native languages such as Quechua and Guaraní. The Augusto Raúl Cortázar National Exhibition of Crafts and Folk Art, named after one of the most important scholars of Argentine folklore. 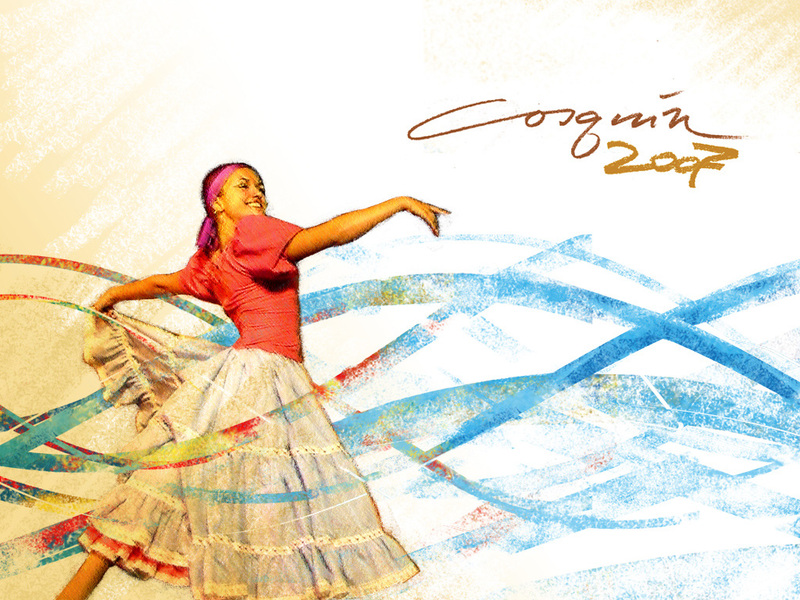 The Cosquín Festival was honored with a hymn composed by Zulema Alcayaga and Waldo Belloso. Find here the complete list of collaborators to the preceding article. 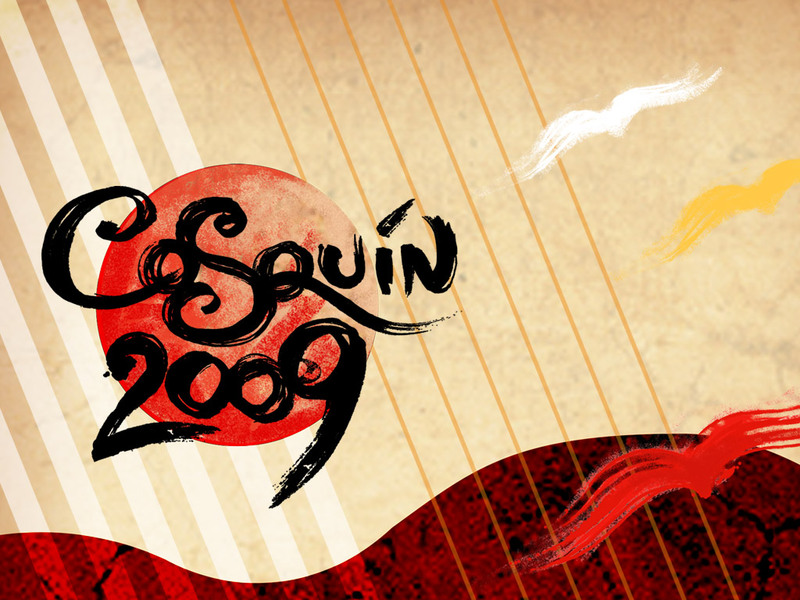 Each year, the Cosquín Festival rounds up artists from all over Argentina and Latin America. Some are very well established artists within the folk community, others are little-known musicians that are being exposed massively for the first time.